Three days ago, Kempinski Emirates Palace Abu Dhabi introduced a gold dispensing machine. Can you believe that!? 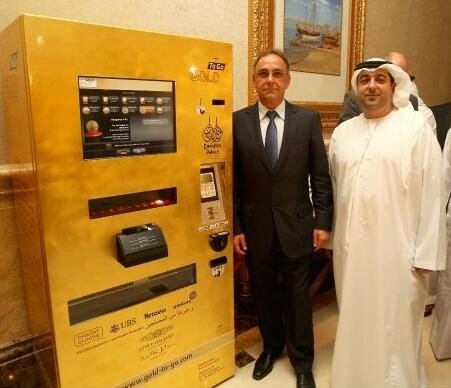 A machine that moniters daily gold prices and dispenses customized gold coins and gold bars weighing up to10 grams! Remember, I've stayed twice at that hotel, first for the Coldplay concert and then for Rihanna's concert. Elegance and luxury define it perfectly, thus the perfect setting for such a machine. 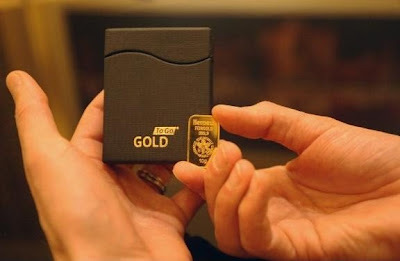 The man behind this idea is German entrepreneur, Thomas Giessler (CEO), and he calls it "GOLD To Go". The first ATM mashine ever installed was in Frankfurt airport, Germany last year. Going international, he brought the machine to Abu Dhabi, exclusive for now, due to the region's gold commerce reputation and ofcourse a place with filthy rich people. If you're interested, you can get your gold bars/coins online. They're not even expensive.